Already cited by many as “ones to watch”, Data 3 are a trilogy you are no doubt becoming familiar with. Formed in just 2013, their next level production has given way to an explosive launch, firing out releases on a plethora of cutting edge labels with track support coming from the likes of Noisia, S.P.Y, and Technimatic to name just a few. March the 24th sees the return of the trio to Addictive Behaviour with their debut single ‘Something Strange’. A mystifying release taking you on a journey of sensory deprivation into an unknown world. 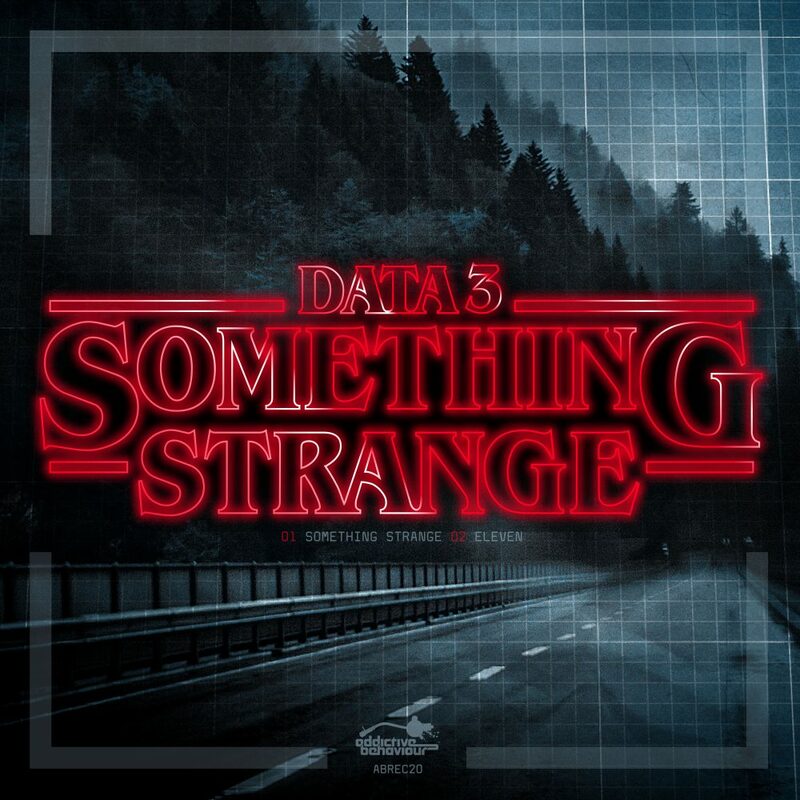 ‘Something Strange’ opens the gate. Haunting pulses of eerie synths and magnetic drums draw us in before vanishing into the shadows as a creepy vocal of a tormented girl prepares us for the ‘Upside Down’ we are about to enter. Then, raining in, a thunderous, 90’s-esque reese bass rumbles up and down in waves, carrying you along whilst throwing you around like a rag doll. This one is pure dancefloor vibes, oozing with quality, tight percussion and solidly crafted subs. A typical Data 3 affair but tinged with an old school darkness that makes this track a potential future classic. The curiously titled ‘Eleven’ is a beautiful contrast to its heavier predecessor. It trickles in with a cryptic collection of arpeggiating pad and synth chords that grow with intensity, gathering momentum up to the drop. Then the sub and drums kick in and instantly you’re fully immersed in this alternative universe of techy, sci-fi inspired rhythm. Cinematic and masterly engineered, this is a roller like no other, once again expressing Data 3’s ability to sound unique in an incredibly competitive genre. 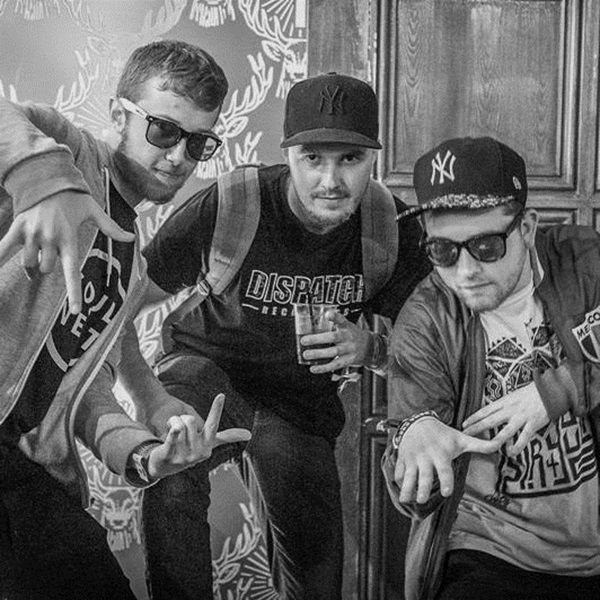 The Data 3 trio are aggressively attacking the D&B industry head on. Prolific in their output whilst still retaining quality over quantity making them a real force to be reckoned with. Interest in the producers has seen their DJ sets tour up and down the country, from supporting S.P.Y. & Ed Rush in Manchester to Hospitality festivals and numerous gigs in and around London. If you’re not familiar with them already, it’s time you were.